Inclusive cruises from Galveston are available all year long. 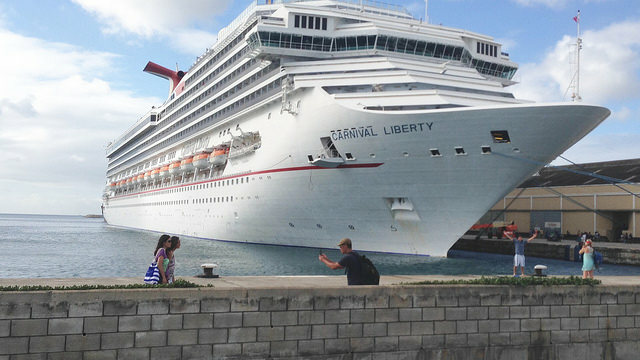 While you may not find many specific cruise lines offering an itinerary during every month of the year (Carnival does), there are enough popular cruise lines sailing from the Galveston Cruise Port to ensure that your family will find a cruise that fits its needs. Galveston is fast becoming a popular cruise town like Miami and Cape Canaveral (home of Port Canaveral). In fact, the city has done very well in attracting the top cruise lines, offering several inclusive cruises from Galveston mainly to Western Caribbean ports of call. Popular cruise lines sailing from Galveston include Carnival Cruise Line, Disney Cruise Line and Royal Caribbean International. Together, all three cruise lines account for over 100 inclusive cruises from Galveston every year. Galveston is such a big cruise city that the cruise lines which use it as a home-port, have some of their biggest ships sailing from the port. Inclusive cruises from Galveston make calls at many of the top ports of call in the western Caribbean. Most cruise sailings will get you to stops such as Grand Cayman in the Cayman Islands; Cozumel, Costa Maya and Progreso in Mexico; and, Ocho Rios in Jamaica. In addition to the fact that top cruise lines sail to popular Caribbean ports of call from Galveston, you will be thrilled to know that there are cruises of varying lengths from this city. How long would you like your cruise to be? You can find itineraries of 4-day to 8-day cruises from Galveston to Caribbean ports. 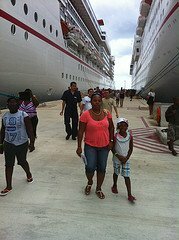 Let us take a quick look at the cruises offered by each Caribbean cruise line sailing from Galveston. At the time of writing this page, Carnival Cruise Line has three Fun Ships offering inclusive cruises from Galveston. As noted above, the ships are among Carnival's biggest and most popular cruise liners. The ships are: Carnival Freedom, Carnival Valor and Carnival Vista. Cruise itineraries include 4-day getaways, 5-day longer stays and up to 8-day explorations. Carnival offers year-round cruises from the Galveston Port. Disney Cruise Line offers limited cruises itineraries from Galveston. In fact, this cruise line currently has one ship sailing from that port - Disney Wonder. Due to Disney's popularity and the limited number of sailings, cabins for Disney cruises from Galveston sell out very quickly. You may currently find 4-day, 6-day and 7-day cruise itineraries to ports of call such as: Cozumel, Belize City, Honduras and Falmouth, Jamaica. Royal Caribbean currently sails two ships from Galveston - Vision of the Seas and Liberty of the Seas. Like Carnival, Royal Caribbean currently offers year-round cruises. This cruise liner offers largely 7-day cruise itineraries from Galveston to Western Caribbean ports of call such as: Grand Cayman, Cozumel, Costa Maya, Belize City and Honduras. Royal Caribbean also offers limited 5-day, 6-day and 8-day sailings from Galveston. Note: All itineraries listed above are subject to change at anytime by the respective cruise line. Booking a cruise ship vacation from Galveston is easy. Finally, you may call the cruise line directly to book Galveston cruises. Now that you know that there is an impressive line-up of cruise itineraries from the Galveston Cruise Terminal, are you ready to book your family fun getaway? Please note: Not all the cruise itineraries listed are year-round offerings. Check with a Travel Agent for availability. 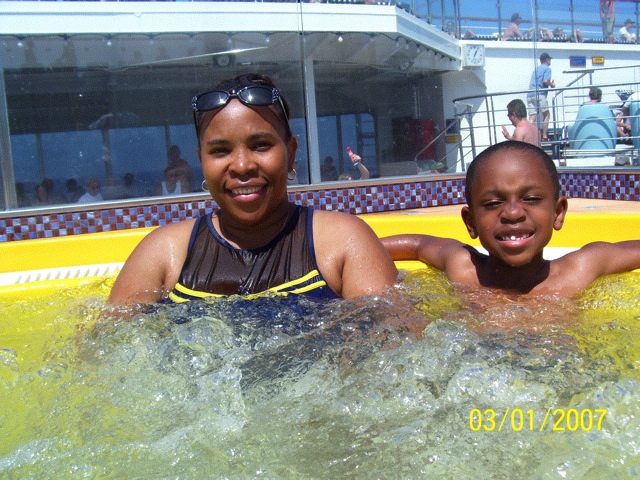 I hope that you will plan your family Caribbean cruise really soon. No matter when you decide to go, you will find many exciting inclusive cruises from Galveston to the Caribbean from which to choose.